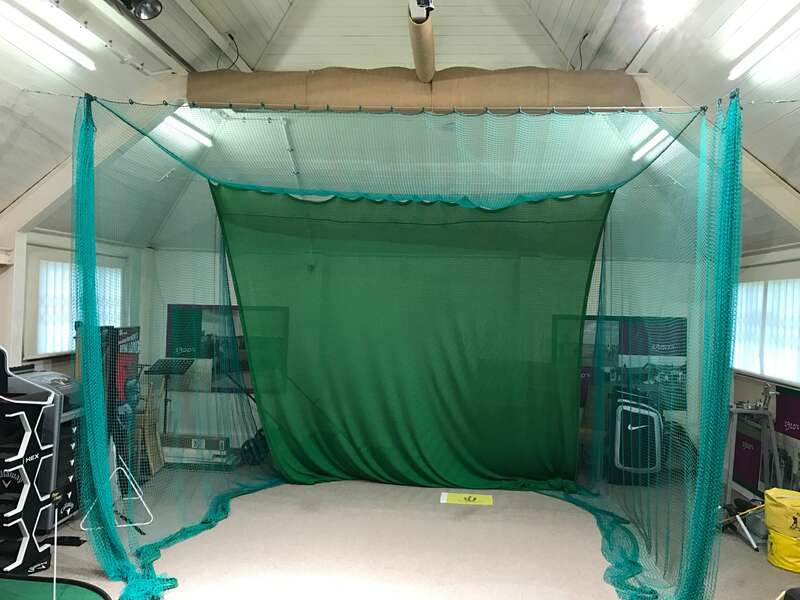 The world famous Walton Heath Golf Club, being the Ryder Cup venue in 1981 and having such famous members such as Edward Prince of Wales in 1935, Winston Churchill and the British Open Champion James Braid, needed to have a bit of an upgrade in their Swing Studio. Current professional Simon Peaford contacted us after seeing the work we had installed at the Calllaway Custom fitting centre. 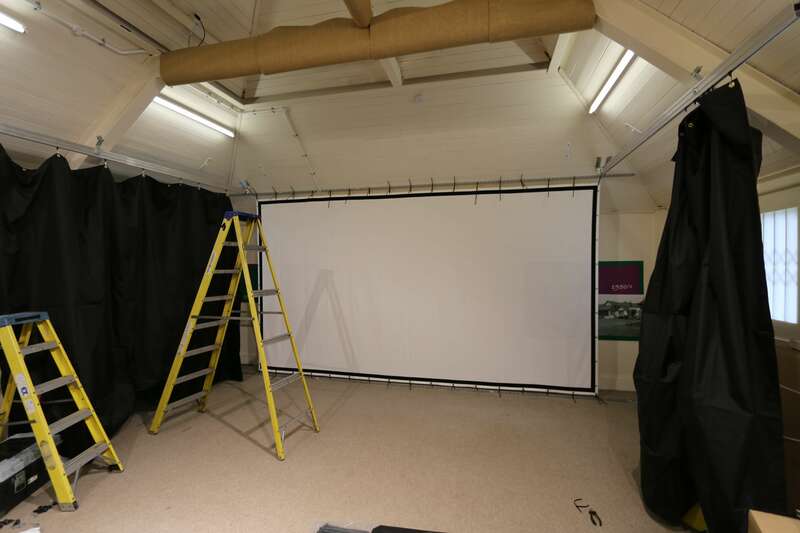 Wanting something pretty similar to Callaway we came up with a plan for a projection screen and side curtains for Simon. 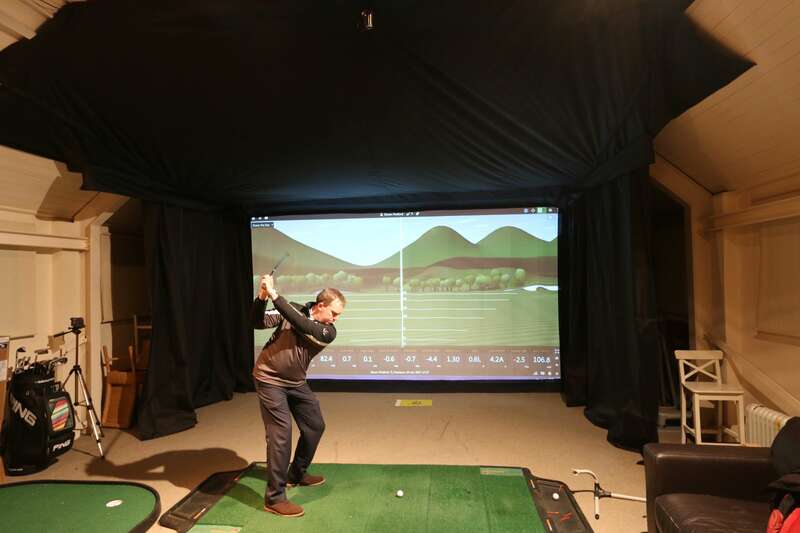 This would make the space bigger for him and allow him to use a projector with his TrackMan system. This is what the Studio looked like before we got there. Installation of Screen and Curtaining.